TTS Tooltechnic Systems, which acquired SawStop in 2017 and just this week teased about new Festool SawStop-featuring table saw tech, has acquired Shaper, maker of the Origin hand-guided CNC router. The Shaper Origin CNC router, shown above as it existed in 2016 when they launched a preorder program, has evolved over the years. Currently, the Shaper Origin is equipped with a custom router spindle that was co-developed with Festool and built by TTS, and it ships in a custom Systainer tool box made by Tanos, another TTS Tooltechnic Systems brand. The Origin requires the use of ShaperTape, a specially-patterned tape that allows the Origin to accurately track its position while being guided over a workpiece. 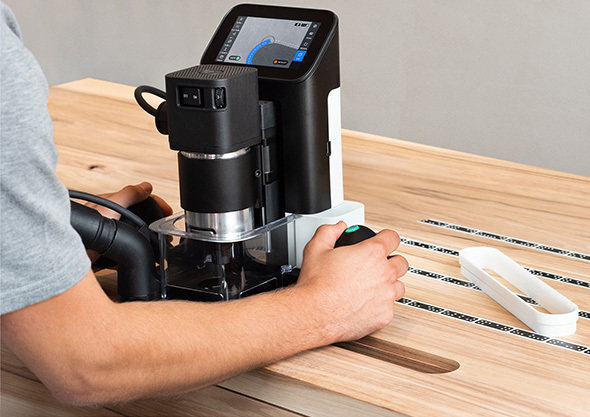 Currently priced at $2499, the Shaper Origin is one over very few handheld CNC routers that allow you to bring your cutting tool to workpieces. Most other CNC routers require you to bring your board or sheet materials to a CNC router, with very large workpieces requiring very large machines. So, TTS Tooltechnic Systems, Festool’s parent company, has just acquired the Shaper company. With this technology, TTS is taking another big step forward in offering innovative digital solutions to its target groups. Together with the software experts from Shaper Tools, further trend-setting offers are to be developed for the customer. Festool is best known for their dust extractors, sanders, saws, routers, joinery tools, and other related woodworking power tools and accessories. 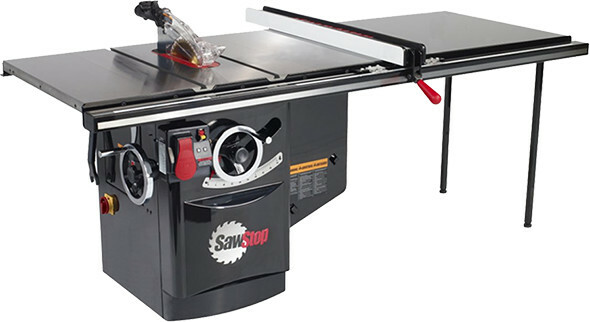 SawStop specializes in flesh-detection and active injury mitigation table saws. 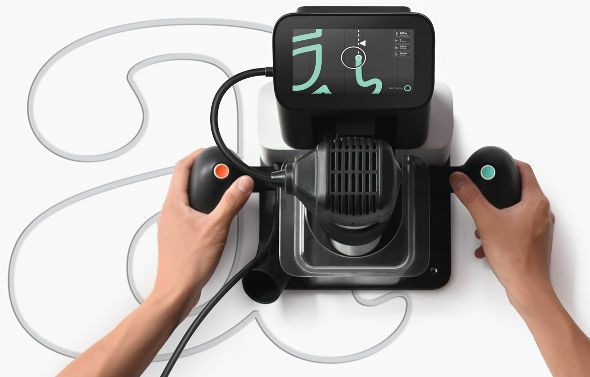 Shaper developed the Origin hand-guided CNC router, as well as the software and ShaperTape that allow it all to work. Maybe this will allow development of a more affordable Shaper Origin that potentially becomes more popular, and even ubiquitous? How do you think TTS and Festool will leverage the Shaper products and technologies to enhance current offerings, or in the development of new products? Thank you to MT_Noob for the news tip! « Nose Syringe Bulbs in my Toolbox? I could see them leaving the price the same… for a little while. Then they will tell everyone the price is going up on a certain date and won’t be that low again . I do imagine though that Festool prices are less likely to jump due to trade issues, unlike Chinese made tools. I agree. Shaper has gotten some traction and they are testing the waters at a higher price point while they continue to evolve the software. I think they may find it challenging to market at this price. Maybe if momentum wanes they could strip out some features in an attempt to offer something near the $1500 price point? But price is not their biggest hurdle, I think the software learning curve is. The utility of this tool can’t be unlocked unless you learn to use design tools. Since they haven’t addressed a streamlined way to onboard new users, this remains a niche product. I’m not sure how much a $1500 offering would move the needle for them. There’s going to be money savings on the case and the router since there’s one less pocket to fill with profit. 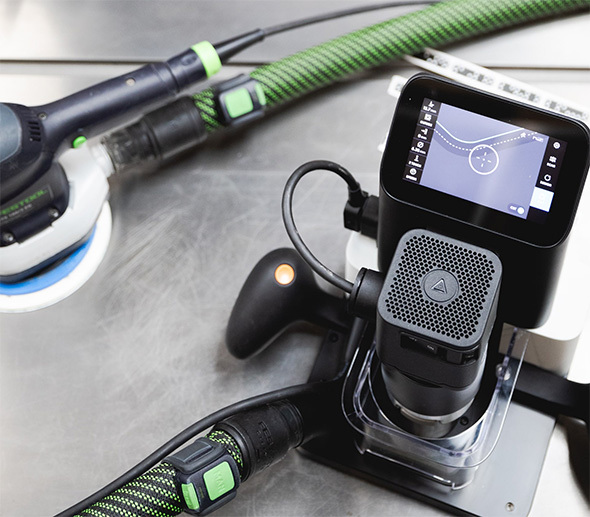 Shaper could in theory order the components for their cost, rather than having to pay any Festool or TTS markup before even adding their own on the product as a whole. There could also be a scale benefit, with the Origin potentially being made available to all Festool dealers. And maybe Festool/TTS help in broadening Shaper reach in European markets. Additionally, Shaper will continue to be run as their own company; they’re not being absorbed into Festool, it’s suggested that they will co-exist alongside. I kept seeing that tape and wondered what it was for! I thought it was Braille! In my honest opinion, I believe the price point is already a limitation on its sales. At nearly 2500 USD for what basically is a router spindle with minimal guidance, additional consumables (tape) its cost far outweighs its benefits at this time. I am a professional cabinet maker and see little use for this. I own stand alone CNC machines and view them as force multipliers, as they can perform tasks that are either too tedious or repetitive to engage in myself, therefore the CNC can work alongside me as I perform other tasks, increasing output, something this inherently cannot do. The portability is an advantage for field work, but to need it in the field is simply poor planning and oversight of a project overall and should be avoided. That said, if space was at issue, this may be a consideration, otherwise its 2500 best spent elsewhere. As to festool purchasing the company, it was inevitable. Their involvement with development, the potential to create a new tool for their lineup was written on the wall long ago. And now that they own it, the price will only go up, putting it out of reach if their potentially greatest revenue source, the hobbyist, as if not nearly out of reach already. Sad, as at a better price this had great potential, now it may be a fading memory. I think that I agree – certainly not something I’d have bought for our cabinet shop. But I’m a bit more cautious about saying it will not fill some niche. I’m struggling to think of a field application that would make it pay. But more creative folks may – and then it might garner a market based on word of mouth. The Festool edge bander at $3000+ seemed pricey to me – compared to a $500 handheld Virutex but it does more and I I saw Tom Silva’s crew using one on TOH – so I guess it has some market. Festool does seem to know how to market pricey tools. 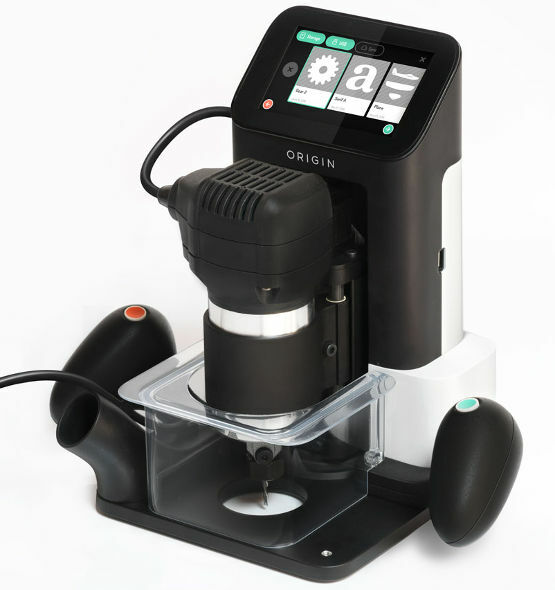 The Shaper Origin seems to be marketed at people who want a CNC but don’t want to spend the money on one. The only advantage that I see to this device is the minimal storage size that it consumes. Most reviews that I have watched of the Shaper Origin call it out as a master of technology but gloss over the length of manual time required to actually complete a piece. To the hobby user they get a 2 axis CNC (the z axis is a 1 time set from what I’ve seen) for $2500 plus tape ($18 for 150 feet). That’s about half or third the cost of a competitive Laguna machine. Hobby users probably aren’t familiar with CAD/CAM/Gcode/etc so there’s somewhat of a learning curve for them. Traditional CNC machines seem to really shine when you can batch out repetitive work, a real boon for the professional cabinet maker who probably has a product portfolio. Hobby users usually do one job and then move onto the next, meaning the CAD/CAM investment is high. Not everybody is willing to do that. The Shaper does happen to consume little garage space – it’s best benefit. To the professional user they get a machine with a low investment but then have to pay somebody hourly to run the thing. Youtube videos love to time lapse CNC operations and make them all look like 5 minute jobs when in reality they can take multiple hours. Paying somebody $40/hr to just run a CNC machine (with 0 scalability) makes the $2500 investment seem like a waste pretty quick. Ben you hit the nail on the head as far as why I got one as a home user hobbyist. Space was first and foremost on my requirements. I saw many posts on line about bout people getting a traditional CNC and then complaining about the space that it takes. I don’t do production work, so I like the fact that it can go back in the systainer when not in use. I’ll trade off the shop space for the fact that I have to drive the spindle. That’s what works for me, but I can see that it might not be the best choice for everyone else. I think it’ll have a lot more field uses like this, since it adds a level of customization to large scale areas that was previously exceptionally time consuming and therefore cost prohibitive. Exceptionally niche product, but it essentially carves out a new niche instead of just making an existing one more efficient. Maybe it’s a better fit for the European market? I’m trying to imagine the possibilities and I can’t say that anything jumps to mind. Although a track saw and a Shaper Origin are a pretty good combination when it comes to workflow. Maybe there is some overlap in using the SO to create specific pockets to festool specialty hardware. Maybe something like their domino connectors or something similar. The SO could easily create custom pockets in wood to accommodate some new sorts of hardware beyond the abilities of the domino. Or maybe use the same specialty tape and visual guide technology on something else, like perhaps a jig-saw that can follow a design and auto correct the kerf and hold it on the line that was programmed in. Shaper is becoming available in other regions as far as I can tell. So maybe after rolling out to Canada they will be able to roll out to Europe, Australia and the rest of the world. I’m sure Festool can help them with those logistics. Why do you say that? What’s the precedent? As the owner of none of these tools, I think it’s a good fit. The SO strikes me as a tool for professional carpenters / makers to increase productivity. I’ve just watched a bunch of Ron Paulk videos in preparation for building one of his portable workbenches. He uses lots of Festool products and is the kind of person who would find lots of potential used for a tool such as the SO. I mentioned it before, but this wasn’t a total surprise seeing as how Shaper has been utilizing components like the spindle directly from Festool themselves. They have been long time close collaborators so it makes sense and this actually is a good thing to have a larger company help facilitate manufacturing and distribution which can bring the cost way down. I agree with other commenters – the price will only go up. Since Shaper will continue to stand alone, there will be some duplicate overhead ($$). The fact that Festool now owns them likely won’t decrease trabnsfer pricing for spindles and Systainers. The unit Managers for those products still have profit targets to hit, not to mention higher transfer prices help repatriate more profit to the home country of the owner. And the corporate tendency when costs are lowered isn’t to lower margins by cutting price, it’s to increase profit by keeping the cost reductions in-house. It’s a neat tool. Love to have one, but can’t justify it at today’s prioce point. All that said, I hope I’m wrong, and next year’s price is $999. I’ll be first in line. it does sort of fits in their line up. I don’t recall Festool sells a router but I assume they must. But things like their domino system sort of make sense here too. You not only have a router – you have a router that you can program to make your specific shapes on site. I mean most of their otherstuff is intended to be semi-portable and able to setup on site for precision work. Make some sense. Sadly I wished someone else has bought this. Totally not surprised that Festool acquired Shaper -the machine is a natural slot into the whole Festool ethos. However, I do not believe that the tool is the best / natural choice for far more people than it is. At the end of the day it does do what it is suppose to, however, the road to that result is FAR fussier, time consuming and frustrating than I think is really worthwhile (I own one). Most people would be better off with an X-carve or other small gantry style machine.